May the 5th comes once a year and every year the city streets explode with bar sales going through the roof. The facts can very well represent a trend where the Mexican culture takes over entire the nation, Wynwood included. 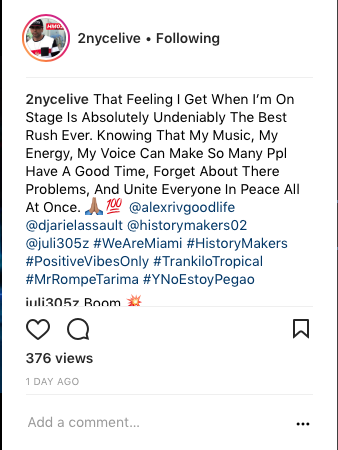 Our very own 2NYCe, recording artist, gives a show of full energy, flags, and his latest nightclub dance floor anthems to the people of Wynwood, Florida.